You cannot always get an exact equivalent of these documents for companies formed outside the United States. In some cases, there is no public record equivalent; in others, there are similar documents but the costs and time frame may create issues. In some countries, you can obtain much more information than would be available in the U.S.
Part One of this article discussed the certified copy of a company’s charter documents. Part Two discussed the Certificate of Good Standing. This part discusses the UCC search and what kind of equivalents can be obtained outside the U.S. The Uniform Commercial Code only applies to the U.S. and its territories (Puerto Rico, Guam, Northern Marianas, etc.) Other countries do not have a Uniform Commercial Code and the term “UCC search” has no meaning. In many countries, there is a system of public notification of secured transactions affecting personal property, but what gets registered can depend on the types of lien or the collateral covered. It’s important to be aware of the differences and how they can affect the information you will receive. It’s also important to note that there are countries where this information is not public record at all. Some countries have a system of registration for secured transactions that is quite similar to the U.S. system. Canada registers secured transactions under the Personal Property Security Act (PPSA), which shares many similarities with the Uniform Commercial Code. The PPSA covers a broad range of personal property and, like the U.S., includes all types of liens against tangible and intangible personal property and fixtures. In fact, it’s even a little broader since motor vehicle liens are also filed under the PPSA. The type of transaction does not affect whether a PPSA is filed. Each province in Canada has its own version of the PPSA except Quebec, which has its own system for recording liens on personal property. Other jurisdictions that have recently adopted a PPSA statue are Australia and New Zealand, which based their laws on the Canadian system. 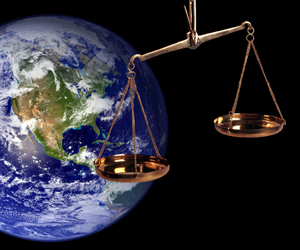 Most other common law countries are based on the United Kingdom’s system. The United Kingdom (U.K.), Hong Kong and Singapore, as well as British “offshore” jurisdictions like the Cayman Islands and British Virgin Islands all feature the “registration of charges.” We’ll look at U.K. as an example of this type of system, but note that there can be wide variations among various systems for recording charges. Under the charge system, the registration of charges occurs for company debtors only. A charge is defined as the security a company gives for a loan. Previously, an extensive listing of property types were listed in the statute as requiring registration, but a recent change to the law, which went into effect on April 6, 2013, now indicates that charges on all property are registered with a few exceptions (rent security deposits, Lloyd’s trust deeds and charges excluded by other legislation). Charges can be searched at the U.K. Companies House and are found with the corporate registration documents. An abstract detailing the particulars of the charge can be obtained online. Many civil law countries also have a system whereby most liens are publicly registered. In many cases, these countries have a “pledge” system rather than “charges” like common law countries. In pledge systems, the possession of the collateral often determines whether a secured transaction is registered or not. Mexico has a pledge system where any movable transferable asset can be pledged and the two most common forms of secured transactions are registered. They are the “Non-Possessory Pledge,” where the borrower maintains possession and operation of the pledged asset, and the “Guarantee Trust,” where the borrower (settlor) transfers title to a trustee in order to secure payment and priority of an obligation. In case of default, the lender (beneficiary) can request the trustee to execute the trust’s assets to pay the outstanding debt. In Mexico, there are other types of transactions that are not registered; possessory pledges where the secured party maintains possession of the asset and the aval, where a third party guarantees repayment in case of default. Mexico, like many South American countries, registers these transactions locally and searches can be very expensive and time consuming to do. In many countries, the collateral determines whether a lien is registered. For example, in Spain, security interests in specific goods are commonly registered in the Register of Mortgages and Pledges. Interest in receivables may be registered but it is not a common practice and security interests in cash are not registered at all. So, a search will provide some information, but will not provide a complete picture of indebtedness. In other countries, such as Germany and Japan, very few or no liens are registered and it is impossible to do anything equivalent to a U.S. UCC search. Do Your Homework to Ensure You Know What You’re Getting! So, as you can see, depending on the jurisdiction, what types of liens are a part of the public record can vary depending on the type of collateral, the type of transaction or the type of debtor. Determining what is actually filed and whether another route will be required to verify the absence of other liens on the collateral is a necessary first step before relying on what is returned on a search of the public records in another country.